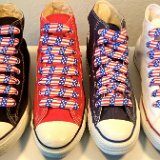 Photo gallery of red, white, and blue weave and print shoelaces on various pairs of chucks. 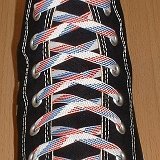 1 Red, White and Blue Shoelaces on Chucks Black high top with red, white and blue weave shoelaces. 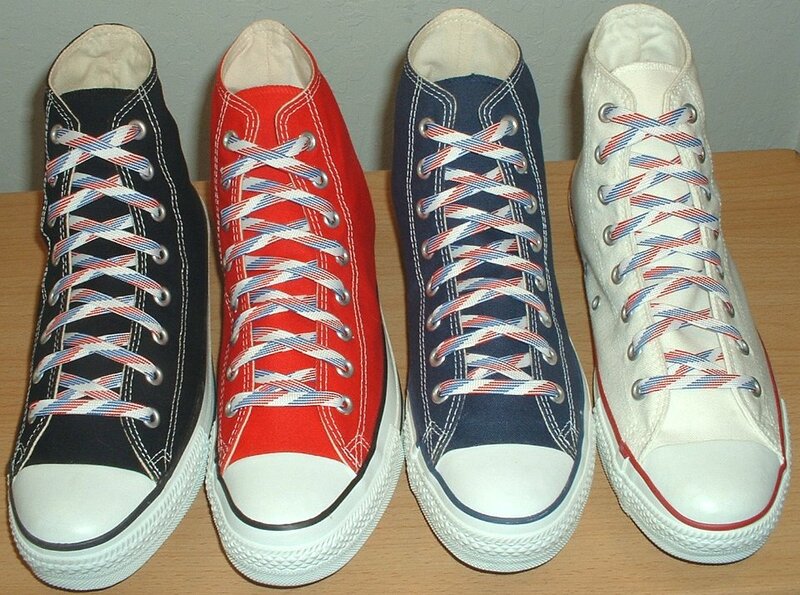 2 Red, White and Blue Shoelaces on Chucks Red high top with red, white and blue weave shoelaces. 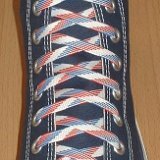 3 Red, White and Blue Shoelaces on Chucks Navy blue high top with red, white and weave blue shoelaces. 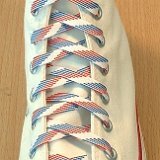 4 Red, White and Blue Shoelaces on Chucks Optical white high top with red, white and blue weave shoelaces. 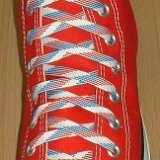 5 Red, White and Blue Shoelaces on Chucks Core color high top chucks with red, white and blue weave shoelaces. 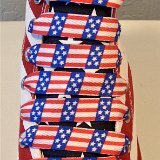 6 Red, White and Blue Shoelaces on Chucks Puerto Rico flag high top with red, white and blue weave laces. 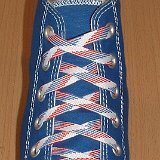 7 Red, White and Blue Shoelaces on Chucks Royal blue high top with red, white and weave blue shoelaces. 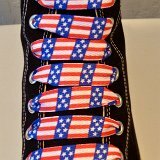 8 Red, White and Blue Shoelaces on Chucks Black high top with wide print red, white and blue shoelaces. 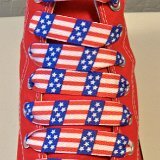 9 Red, White and Blue Shoelaces on Chucks Red high top with wide print red, white and blue shoelaces. 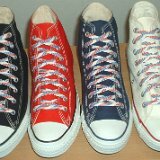 10 Red, White and Blue Shoelaces on Chucks Navy Blue high top with wide print red, white and blue shoelaces. 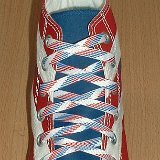 11 Red, White and Blue Shoelaces on Chucks Optical white high top with wide print red, white and blue shoelaces. 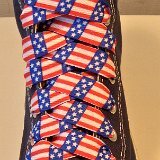 12 Red, White and Blue Shoelaces on Chucks American flag high top with wide print red, white and blue shoelaces. 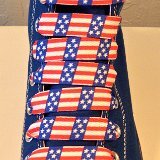 13 Red, White and Blue Shoelaces on Chucks Royal blue high top with wide print red, white and blue shoelaces. 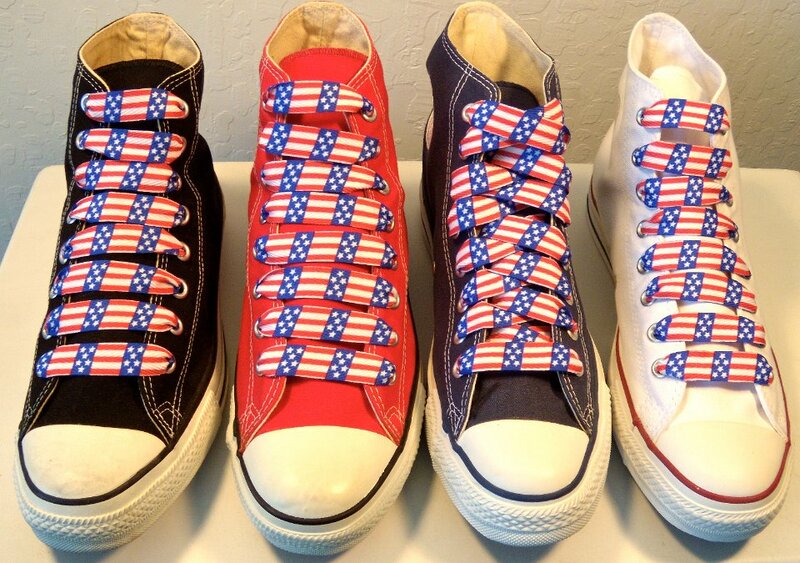 14 Red, White and Blue Shoelaces on Chucks Core color high top chucks with wide print red, white and blue shoelaces. 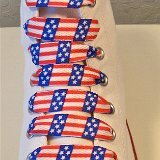 Red, white and blue shoelaces are available in two different styles: a weave pattern in a standard width, and a wide print pattern in an extra-fat width.